Yes, this Bloody Mary is made differently in that there is NO juice in the product. It is cooked with tomato paste in an evaporation kettle just like when your mother made sauce on the stove for hours. It is thick, zesty and has a rich almost smoky taste to it. It holds Up Gallantly to ice and never leaves you with a watered down bloody mary. 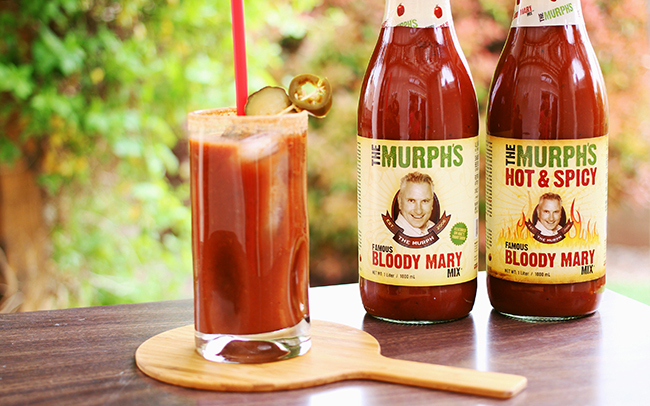 The Murph's is such a great base, people use it as a marinade on fish, chicken and seafood. A skirt steak marinated in Murph's in a zip lock bag for 48 hours, then seared on the grill is truly special. The salt tenderizes the meat and the tomato glaze after grilling makes your mouth water. As for cooking: pizza, hot wings, meatloaf, chili and so much more are some foods that have taken on a life of their own with Murph's.